They hand out cards for $75; let’s not let how easy it is to get medical marijuana override knowledge. Did Pot Paranoia Lead to Washington Teen’s Mysterious Disappearance? Logan Schiendelman was last seen in 2016. Was he the victim of foul play, or is he lost, not wanting to be found? The body of an 18-year-old man, missing since mid-March, was found last week, the Sandy Police Department announced. “We recorded clear and consistent associations and dose-response relations between the frequency of adolescent cannabis use and all adverse young adult outcomes….substantially increased odds of later cannabis dependence, use of other illicit drugs, and suicide attempt.” Click here for study abstract on adolescent cannabis use. “Early and frequent cannabis use are associated with an increased likelihood of major depressive disorder (MDD) as well as suicidal thoughts and behaviours. We identify associations between aspects of cannabis use, MDD, and suicidal thoughts and behaviours and examine whether such associations persist…” See abstract of this depression and suicide study. 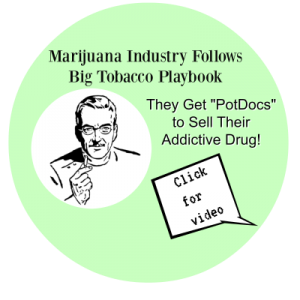 “The aim of the study was to determine excess mortality associated with cannabis use disorders. Individuals entering treatment for cannabis use disorders were followed by use of Danish registers and standardized mortality ratios (SMRs) estimated. Predictors of different causes of death were determined.” Read more about the study on cannabis use disorders and death. 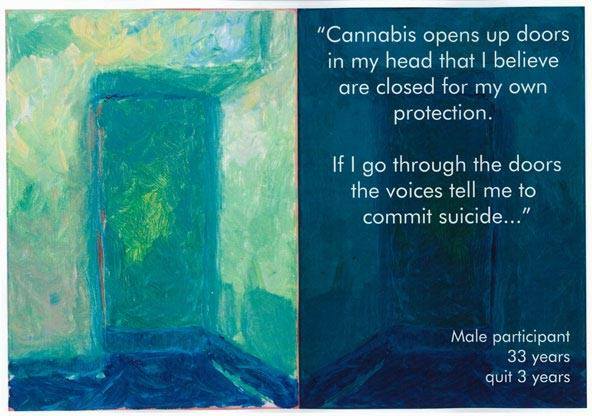 Senior coroner Veronica Hamilton-Deeley recorded his death as suicide with contributing factors of cannabis related-induced psychosis including auditory hallucination and mood. Rashaan Salaam accomplished the improbable, rising from playing 8-man football at La Jolla Country Day in San Diego to win the Heisman Trophy in 1994. DENVER, Dec 29 (Reuters) – Rashaan Salaam, a winner of college football’s Heisman Trophy, committed suicide by shooting himself in the head in a park in Boulder, Colorado, earlier this month, a county coroner said on Thursday. A toxicology report showed Salaam, 42, had a blood-alcohol level of 0.25, three times the legal limit for operating a vehicle in Colorado. His blood also contained 55 nanograms of THC, the psychoactive property of marijuana. A toxicology report showed Salaam, 42, had a blood-alcohol level of 0.25, three times the legal limit for operating a vehicle in Colorado. Sabine Heinlein, Feb 23, 2017, The Guardian The state’s suicide rate is three times the national average and 16% of its people experience alcoholism or addiction. Alex’s family are the faces behind the addictions. Melissa, the oldest of Danielle’s three girls, remembers the tragic day in 2004 clearly. Then 12 years old, she had caught 13-year-old Pete smoking marijuana with a cousin. She told Danielle. As part of his punishment, he was to sit in his room, with no books, magazines or video games. As she recalls the story, Melissa is calm and thoughtful, not unlike her stepfather. She seems like the kind of person who has everything under control, but as you dig deeper, her struggle emerges. When Alex came home from work that day Danielle was in bed, like most of the time. The first thing he did was check in on Pete. He found him reading a magazine that Melissa had slipped him. “Mom said nothing is nothing,” Alex said, taking away the magazine. He went to light the BBQ to make dinner. It was a warm summer evening, and Melissa was playing horsey with her three- and five-year-old half-sisters. Suddenly, Melissa heard Alex screaming. “When I walked over to the bedroom door and looked in, I thought that they were fighting,” she remembers. “But when Alex laid my brother on the ground, I saw that he wasn’t breathing, that he was purple and blue. I ran and woke up my mom, and she started freaking out, so I grabbed the phone and called 911. Then I grabbed my little sisters and my cousin and I told them that they needed to go outside.” Alex says it couldn’t have been more than 15 minutes until he went back to check on Pete. He had hanged himself in his closet. A Seattle Police report completed earlier this year and recently made available reveals more details on why authorities believe the 16-year-old’s death was an accident and not a hate crime. The newly released report follows the determination by the King County Medical Examiner that Warsame’s death was accidental. 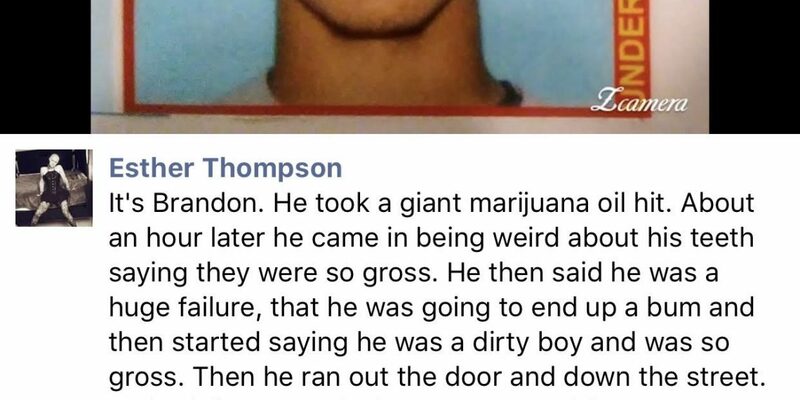 Chief among the new details: the teen may have been trying to jump to an adjacent roof after smoking marijuana for the first time. The report also includes the first information released about the 21-year student who was with Warsame when he fell. Warsame’s blood was later found to contain “relatively high” levels of THC, the psychoactive component in marijuana. 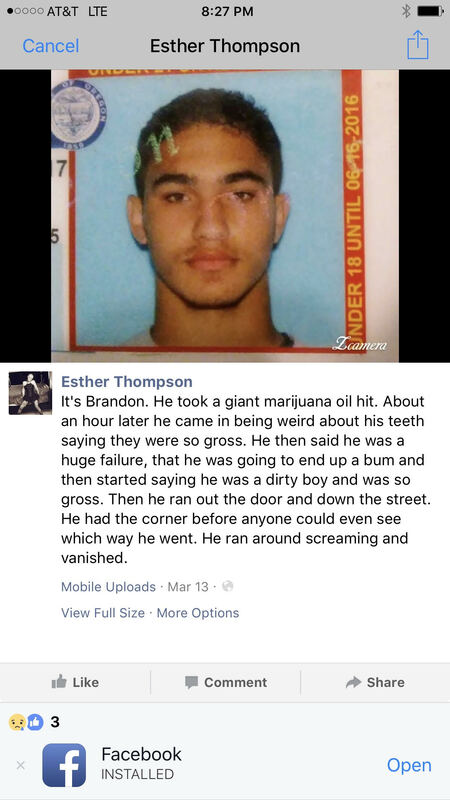 While Warsame’s judgement may have been impaired by the drug given to him by his classmate, King County prosecutors said that the classmate was not responsible for Warsame’s death. The office agreed with investigators that the death was accidental and did not file charges in the case. A Seattle Police investigation into the death of 16-year-old Seattle Central College student Hamza Warsame determined the teen leapt from the balcony of a Capitol Hill apartment on Dec. 5, putting to rest initial speculation across social media that the young Muslim had been the victim of a hate crime. Warsame’s classmate told police the two had met to work on a school project and, at one point, Warsame expressed an interest in trying marijuana, which the student had in his apartment, the report states. He said Warsame became frantic while the student was preparing food, stating he needed air and was worried he had done something offensive in regard to his religion. It was shortly after this that the student reported to police that Warsame jumped from the small balcony, falling approximately 40 feet. AMERICAN FORK, Utah — For two and a half weeks this past summer, tens of thousands of people helped look for a missing man named Paul Swenson. The 30-year-old from American Fork was a husband and new father with many friends. Drugs found were Xanax, cocaine and two opioids, liquid methodone and hydromorphone, according to an autopsy report released Wednesday.